Chances are that you or someone you care about is overweight. It may be “preaching to the choir,” but there is value in reviewing the risks associated with carrying too much weight. After all, in one trip to a ball stadium or shopping mall it is likely that one out of three people you see will be obese. According to the Centers for Disease Control and Prevention, a full 34.9 percent of Americans are currently obese – with a body mass index (BMI) of more than 30. To put that BMI in perspective, a 5’4” woman weighing 175 pounds and a 5’10” man weighing 210 both have a BMI of 30. Two dangers are quickly apparent. The first is how 78.6 million obese Americans may be normalizing the trend. While 20 years ago being obese was relatively rare, it is becoming a norm in many communities and families. The other danger involves all the hidden health risks lurking behind that fat. It is important to note that these risks effect not only the obese, but also those considered overweight. If you have a BMI of 25 – 29.9, you are considered overweight. That same 5’4” woman would only have to weigh 146 pounds to be considered clinically overweight, and the 5’10” man would weigh 175 pounds. Doctors today are also looking at waist size as a health indicator. It is believed that a woman with a waist size measuring greater than 35 inches and a man with a waist size greater than 40 may have a higher chance of developing one of these weight-related diseases. The National Institutes of Health takes an unflinching look at weight-related health issues and lays them out for the public to examine. Among their findings are bad news and good news. You have a greater risk of Type 2 diabetes if you are carrying extra weight. Type 2 diabetes occurs when blood sugar levels in the body are above normal. It can lead to kidney disease, heart disease, stroke, amputation of a limb, and blindness. Risk factors include your family history, activity level, diet, and excess weight around the waist. It is most common in the U.S. among blacks, Latinos, and American Indians. The good news is that the National Institutes of Health ran a large clinical study called The Diabetes Prevention Program (DPP). What that program found was that losing just five to seven percent of your body weight and adding moderately intense exercise – like walking briskly for approximately 21 minutes a day – can prevent or delay Type 2 diabetes. Picture your heart like a pump. Its job is to pump blood through your arteries and to the rest of your body. Blood pressure is measured by how hard your blood pushes against the walls of those arteries. Ideally, you don’t want your heart to have to work too hard to transport blood. Every time you have your blood pressure taken they are measuring how hard your heart has to work to do its “pumping” job. There are a number of ways being overweight impacts your blood pressure. Having a larger body requires your heart to work harder to do its job supplying blood to your cells. It is also believed that excess fat in the body may damage the kidneys, which helps regulate blood pressure. One of the first things your doctor will likely suggest after learning that you have high blood pressure is that you lose weight. It is the first, simplest step to giving your heart a break. Heart disease is the leading cause of death in the United States. In fact, one in four deaths are attributed to this sometimes preventable disease. Heart disease is actually a term used to describe a number of different issues that may negatively impact your heart. The most common occurs when the blood vessel that carries your blood to other parts of your body becomes hard and narrow. It may also refer to how well your heart pumps. As is the case with blood pressure, heart disease can be caused by the fact that excess weight makes it harder your heart to do its job. In addition, people who are overweight or obese often have other risk factors that can harm the heart including high blood sugar and high cholesterol. The good news is that losing as little as five to ten percent of your weight can lower your odds of developing heart disease. Sleep apnea, a condition in which a person has one or more pauses in breathing during sleep, can be improved by weight loss. It is believed that losing weight may decrease the size of the neck and lessen the inflammation that causes you to stop breathing. A stroke occurs when the flow of blood to a part of your brain stops, causing brain cells to die. Losing weight can lower your blood pressure, lessening your risk for a stroke. It may also improve your blood sugar and cholesterol, also stroke risk factors. Osteoarthritis causes pain and stiffness in your joints, often limiting the activities you can enjoy. Weight loss of least five percent can help decrease stress to your joints and lessen painful inflammation. Kidney disease means that your kidneys are no longer able to filter blood like they should. The resulting damage is, in part, due to wastes building up in the body. 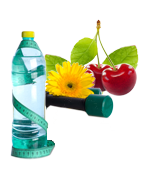 Studies show that losing weight may slow the disease and keep your kidneys functioning longer. Fatty liver disease occurs when fat builds up in the liver and causes injury to that organ and ultimately, the rest of your body. Although there is no specific treatment for fatty liver disease, patients are advised to lose weight at part of a healthier lifestyle. Studies indicate that those patients who do lose weight often have improved liver tests and are able to reverse the disease. Being overweight or obese during pregnancy raises the risk of health problems for mom and baby, including gestational diabetes, preeclampsia, and the need for a C-section. Scarier yet, babies of overweight mothers have an increased risk of being premature, stillborn, and having neural tube defects. The great news is that anyone who is overweight today can look at weight loss as preparation for a healthier pregnancy in the future. The truth is, everyone who needs to lose weight can use a little help, support from others who understand their struggle. Some may also benefit from one of the new prescription weight loss drugs approved by the FDA. Belviq is one such medication. One of the latest weight loss drugs to win FDA approval, Belviq is a prescription medication that has been show to help obese and overweight adults lose excess weight and keep it off. When combined with diet and exercise, Belviq can be a powerful weapon in the arsenal against obesity. It is most frequently prescribed to patients with a BMI greater than average and at least one weight-related medical condition, such as high cholesterol, Type 2 diabetes, or high blood pressure. While history has shown that there is no “magic bullet” when it comes to weight loss, used responsibly and combined with other weight loss techniques, Belviq is showing real promise. In addition to weight loss, study participants have enjoyed better health, more mobility, and the knowledge that weight loss is possible. Belviq was studied in two major clinical studies. The first study involved 4,008 people and lasted for one year. The other involved 3,182 people and lasted two years. FDA clinical trials highlighted several important things about Belviq. Participants who dedicated themselves to improved diet and exercise habits in addition to taking Belviq were consistently able to lose weight. Those same participants were able to enjoy improvement in health risk factors, including high blood sugar, high cholesterol levels, and high blood pressure. 4 percent of participants lost 10 percent of their body weight after one year of treatment, compared to those who used diet and exercise alone. Nearly half the participants – 47.1 percent – who took Belviq lost five percent or more of their body weight after one year of treatment, compared to those who used diet and exercise alone. Better yet, those who had lost weight still weighed less than their starting weight two years later. Belviq allows you to live a normal life. The difference while using this medication is that habitual eating is replaced with mindful eating habits. You can slow down enough to make wise eating choices that satisfy both your cravings and your desire to lead a healthier life. The amazing thing about weight loss is how motivating it is. Once you have lost your first five pounds you’ll be excited to lose more. The more you get up and move, the more you will want to get up and move! It’s a healthy cycle that just keeps feeding itself. Clinical studies measure any side effects experienced by study participants. While some of these might have only happened to one person, they are still issues your medical provider will want to know about as your progress is monitored. Be sure to tell your medical provider about all medications you already take, particularly those used to treat mood, anxiety, and psychotic or thought disorders. Don’t forget about over-the-counter drugs, like cough syrups, supplements, and allergy medications. Let your provider know the moment you begin experiencing a side effect of any kind. The goal is to stay ahead of any potential problems. Now that you know what Belviq is and a little about what you can expect from this new weight loss drug, it is time to consider your next, important step. Your medical provider will measure your BMI and take a close look at your medical history. If the two of you then decide to give Belviq a try you will be prescribed a 10 mg tablet to be taken twice a day, with or without food. The nice thing about not needing to take Belviq with food is that you can fit the daily dose into your personal schedule with ease. Your doctor will evaluate your progress. If your provider finds that you are not progressing in your weight loss during the first 12 weeks, you will likely be taken off the medication. According to clinical studies though, that will not likely be a problem. Think about what your life will be like by losing as little as 5-10 percent of your body weight. Consider how much easier it will be to move around, to do the things you have always wanted to do in life. There was a time when losing weight was a solo mission. Today, you have professionals to walk you through every step of the process. Not only will we help you navigate which medications best meet your needs, but we can help you decide how much exercise you need and how your diet can be changed to enhance your efforts. Best of all, we’re here to ask questions of as you move through the process. 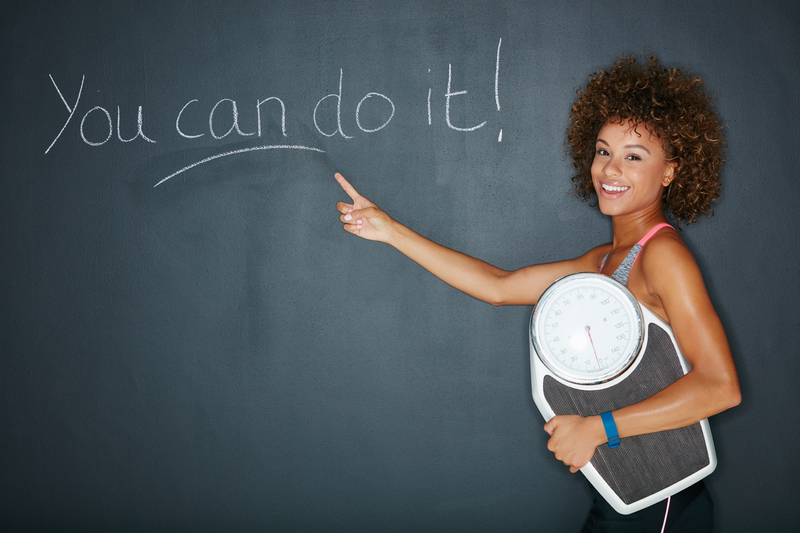 We know that having a “weight loss buddy” is the best way to insure that your efforts will be successful. Now is your time. Seize this day to live a healthier life!